Looking for the best in Toronto Synvisc Injection? Studio Athletica consistently offers results with their clients. A medical specialist performs the synvisc injection under Ultrasound. All Synvisc Injections have maximum accuracy and precision in order to obtain the client goals. Sometimes, finding a facility you trust to perform a Toronto Synvisc Injection can be hard. So why is it that Studio Athletica consistently provide clients with positive outcomes? Ever been diagnoses with Arthritis? Are you trying to prevent further damage? Maybe you are trying to avoid joint replacement? Hyaluronic acid and joint fluid replacement therapy is a revolutionary treatment option. The Toronto Synvisc Injection has been able to effectively delay the need for total knee replacement. While also shown to have a protective effect on cartilage. The outcomes are highly effective and the earlier stage arthritis more than later stage. Doctors often recommend hyaluronic acid injections to their patients. Especially to patients with decisions about moving forward with joint replacement and big surgeries. Most of the time, many have tried pain relievers and other non-steroidal and steroidal anti-inflammatory agents. Unfortunately, when there isn’t significant pain relief or negative side effects. The Visco-supplementation and Hyaluronic acid used by our medical specialists is: Synvisc-ONE, and only requires 1 injection every 6 months. The Toronto Synvisc Injection is only $550.00 and covered by Extended health insurance. 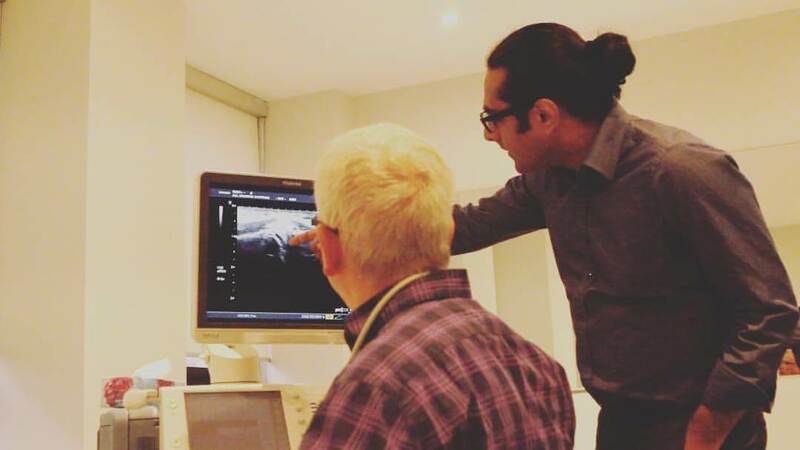 Patients can opt to receive a Toronto Synvisc Injection to treat pain caused by osteoarthritis. Osteoarthritis (OA) is the most common form of arthritis. First, it occurs when the protective cartilage on the ends of your bones wears down over time. The disorder most commonly affects joints in your knees, hips, hands, and spine. Although the underlying cause of Arthritis can not change, the symptoms are effectively manageable. Staying active, maintaining a healthy weight can reduce pain, and improve joint function. The symptoms include pain in the joints during or after activity. There can also be stiffness, loss of flexibility, and a grating sensation in the joint. My Doctor recommended this. May I get a second opinion for my Toronto Synvisc Injection? Yes you may have a second opinion for your Toronto Synvisc Injection with the medical specialists. OHIP does cover patient’s consultation. Fortunately, our wait times are only 1-4 weeks. Simply have the referral form printed and taken to a family doctor to have faxed for Orthopaedic Surgery Consultation: Re: Synvisc Injection Consultation. 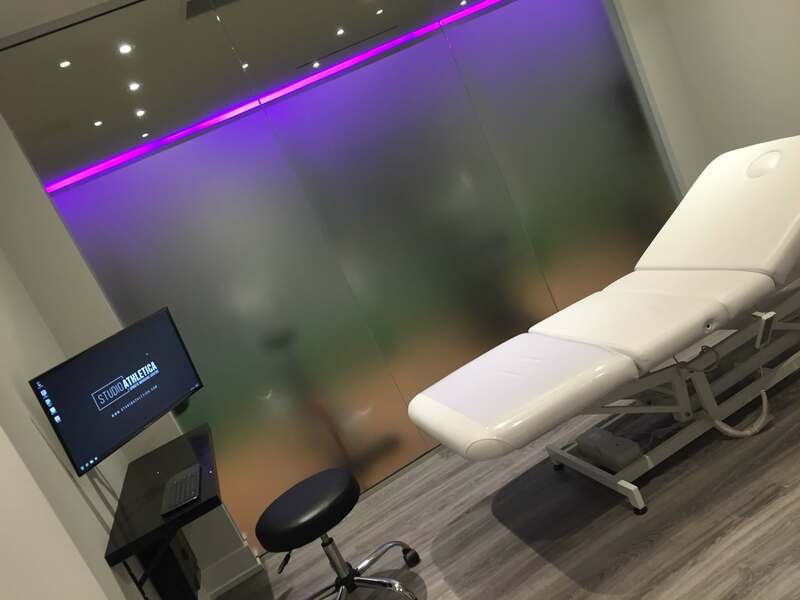 Before getting the injection, why might someone consider getting it at Studio Athletica? For one, the Toronto Synvisc Injection is performed by a team of medical specialists consisting of Orthopaedic Surgeons and Interventional Radiologists. Furthermore, our medical director at Studio Athletica has attended numerous international conferences in Regenerative Medicine. Secondly, Studio Athletica specialists have international certifications and hung on the injection wall. Therefore, why not consider where to get your Toronto Synvisc Injection? Ultrasound guidance when performing the Toronto Synvisc Injection. Joint injection with needle accuracy and precision. The effects of treatment can vary amongst different patients. Many people find immediate relief after receiving their Synvisc and Visco-supplementation Injection. For most, the relief comes 6 to 10 weeks after the injection. What to expect when you get a Toronto Synvisc Injection? If a specialist has determined getting a Synvisc Injection in Toronto is right for you then you can expect a simple non-surgical procedure. A specialist will inject the hyaluronic acid directly into the joint space. Clients can safely have injections repeated every 6 months. Patients can expect minor swelling and discomfort at the site of the injection. Synvisc joint injection has little to no side effect after. Toronto Synvisc Injection currently administers Viscosupplementation for knee joint injection, hip joint injection and shoulder joint injection.